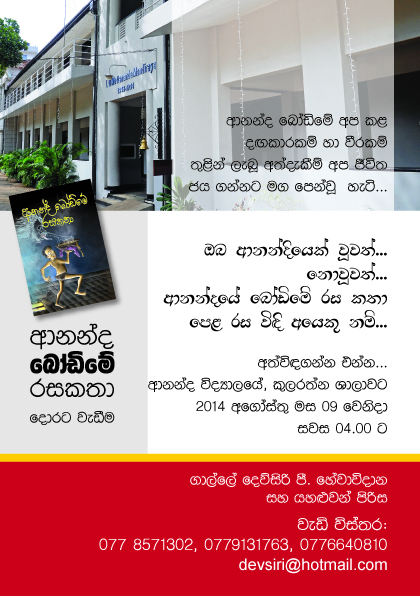 A book by Devsiri P. Hewavidana about his time spent under the hostel roof of Ananda College. The book will be launched on the 9th of August 2014 (Saturday) at 4pm. Don’t miss it!